Purposeful Planning places your privacy as our top priority. We are fully dedicated to always looking after your Personal Information in a way you feel is 100% safe and secure, handling it in a responsible manner and complying with data protection laws. 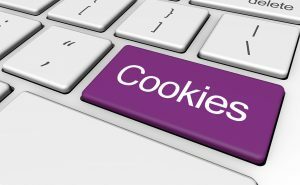 The Internet Advertising Bureau website Your Online Choicesallows you to install opt-out cookies across different advertising networks. Google has developed a browser add-on to allow users to opt-out of Google Analyticsacross all websites which use this popular analytics product. New technologies such as Mozilla’s Do Not Trackallow you to tell websites not to track you. The effect of disabling cookies depends on which cookies you disable but, in general, the website may not operate properly if all cookies are switched off. If you only disable third party cookies, you will not be prevented from making purchases of subscriptions on our website. If you disable all cookies, you will be unable to complete a purchase of a subscription on our website. Except for necessary cookies, all cookies used on our site will expire after 10 years.